European fans, rejoice in the kung-fu fighting! 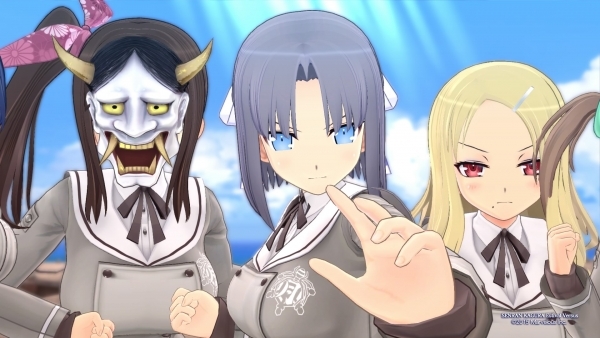 Are you ready for more Senran Kagura? That's a question you can always ask me and come away with "yes" as an answer. I know there's a subset of fans in Europe getting pumped for Senran Kagura: Estival Versus as well, and there's good news on that end: It's headed for PS Vita digitally and physically across Europe and Australia in 2016! The game's already available for preorder at EstivalVersus.com, and if you put in an order you'll get a set of collectable art cards as a special bonus. While North America gets the game this winter, the European special editions get some awesome editions with dakimakura and even figurines of the girls. Not too shabby! Estival Versus will allow 10-player multiplayer battles on the PS4 and will include PS Vita support for it as well, so you and all your friends can duke it out for supremacy! I can't wait for the game to release, so I'll be one of the first in line. Will you be picking the game up?